The list of confirmed American victims was much shorter on Feb. 17, when the U.S. first complained to Cuba. Today, the number of “medically confirmed” cases stands at 21 — plus several Canadians. Some Americans have permanent hearing loss or mild brain injury. Whatever is harming U.S. diplomats in Havana, it’s eluded the doctors, scientists and intelligence analysts scouring for answers. Investigators have chased many theories, including a sonic attack, electromagnetic weapon or flawed spying device. Each explanation seems to fit parts of what’s happened, conflicting with others. Either way, suspicion has fallen on Cuba. But investigators also are examining whether a rogue faction of its security services, another country such as Russia, or some combination is to blame, more than a dozen U.S. officials familiar with the investigation told The Associated Press. Those officials spoke on condition of anonymity because they weren’t authorized to publicly discuss the investigation. AP also talked to scientists, physicians, acoustics and weapons experts, and others about the theories being pursued. Perhaps the biggest mystery is why the symptoms, sounds and sensations vary so dramatically from person to person. Of the 21 medically confirmed U.S. victims, some have permanent hearing loss or concussions, while others suffered nausea, headaches and ear-ringing. Some are struggling with concentration or common word recall, the AP has reported. Some felt vibrations or heard loud sounds mysteriously audible in only parts of rooms , and others heard nothing. “These are very nonspecific symptoms. That’s why it’s difficult to tell what’s going on,” said Dr. H. Jeffrey Kim, a specialist on ear disorders at MedStar Georgetown University Hospital who isn’t involved with the investigation. To solve the puzzle, investigators are sorting symptoms into categories, such as auditory and neurological, according to individuals briefed on the probe. There can be a lag before victims discover or report symptoms, some of which are hard to diagnose. So investigators are charting the timeline of reported incidents to identify “clusters” to help solve the when, where and how of the Havana whodunit. While Cuba has been surprisingly cooperative , even inviting the FBI to fly down to Havana, it’s not the same as an investigation with the U.S. government in full control. Especially when you don’t even know what you’re looking for. The first signs pointed to a sonic attack. But what kind? Some victims heard things – signs that the sounds were in the audible spectrum. Loud noise can harm hearing, especially high-decibel sounds that can trigger ear-ringing tinnitus, ruptured ear drums, even permanent hearing loss. But others heard nothing, and still became ill. So investigators considered inaudible sound: infrasound, too low for humans to hear, and ultrasound, too high. Infrasound often is experienced as vibration, like standing near a subwoofer. Some victims reported feeling vibrations. And it’s not impossible that infrasound could explain some of what diplomats thought they heard. Though infrasound is usually inaudible, some people can detect it if the waves are powerful enough. For example, individuals living near infrasound-generating wind turbines have described pulsating hums that have left them dizzy, nauseous or with interrupted sleep. Such effects have prompted fierce scientific debate. The balance problems reported in Havana? Possibly explained by infrasound, which may stimulate cells in the ear’s vestibular system that controls balance, scientists say. But there’s little evidence infrasound can cause lasting damage once the sound stops. And the pinpointed focus of the sound, reported by some? Infrasound waves travel everywhere, making them difficult to aim with precision. “There’s no efficient way to focus infrasound to make it into a usable weapon,” said Mario Svirsky, an expert on ear disorders and neuroscience at New York University School of Medicine. If not infrasound, maybe ultrasound? At high-intensity, ultrasound can damage human tissue. That’s why doctors use it to destroy uterine fibroids and some tumors. But ultrasound damage requires close contact between the device and the body. “You cannot sense ultrasound from long distances,” Svirsky said. No victim said they saw a weird contraption nearby. None of these sound waves seems to explain the concussions. Usually, those follow a blow to the head or proximity to something like a bomb blast. “I know of no acoustic effect or device that could produce traumatic brain injury or concussion-like symptoms,” said Juergen Altmann, an acoustic weapons expert and physicist at Germany’s Technische Universitaet Dortmund. It may sound like Star Wars fantasy, but electromagnetic weapons have been around for years. They generally harm electronics, not humans. The electromagnetic spectrum includes waves like the ones used by your cellphone, microwave and light bulbs. And they can be easily pinpointed. Think lasers. Such waves can also travel through walls, so an electromagnetic attack could be plausibly concealed from afar. There’s precedent. For more than a decade ending in the 1970s, the former Soviet Union bombarded the U.S. Embassy in Moscow with microwaves. The exact purpose was never clear. What about the sounds people heard? Microwave pulses – short, intense blasts – can cause people to “hear” clicking sounds. According to a two-decade-old U.S. Air Force patent, the American military has researched whether those blasts could be manipulated to “beam” voices or other sounds to someone’s head. But when electromagnetic waves cause physical damage, it usually results from body tissue being heated. The diplomats in Cuba haven’t been reporting burning sensations. The stress and anxiety about the disturbing incidents could be complicating the situation. Diplomats may be taking a closer look at mild symptoms they’d otherwise ignored. After all, once symptoms emerged, the U.S. Embassy encouraged employees to report anything suspicious. Many of these symptoms can be caused by a lot of different things. At least one other country, France, tested embassy staffers after an employee reported symptoms. The French then ruled out sonic-induced damage, the AP reported . 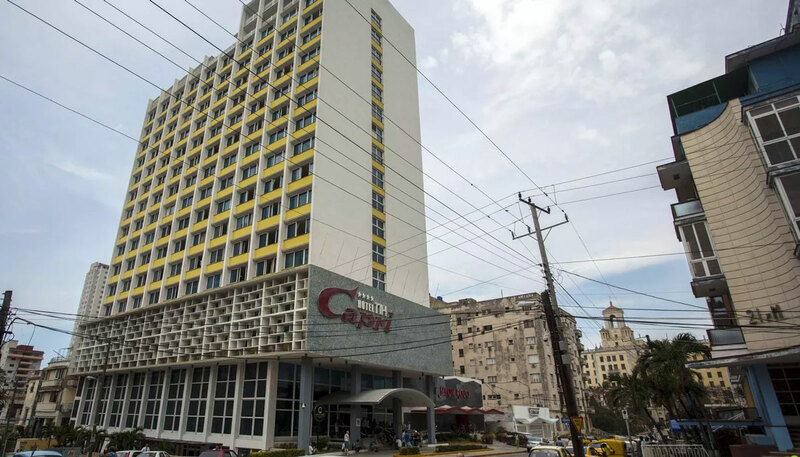 Here’s The Latest on the Investigation of U.S. Diplomats Harmed in Havana, Cuba.How Cuba and US investigators are addressing the grave spate of theories.